structuralDamping(structuralmodel,'proportional','Alpha',a,'Beta',b) specifies proportional (Rayleigh) damping parameters a and b for structuralmodel. The second argument must be 'proportional'. ab = structuralDamping(___) returns the damping parameters object, using the previous syntax. 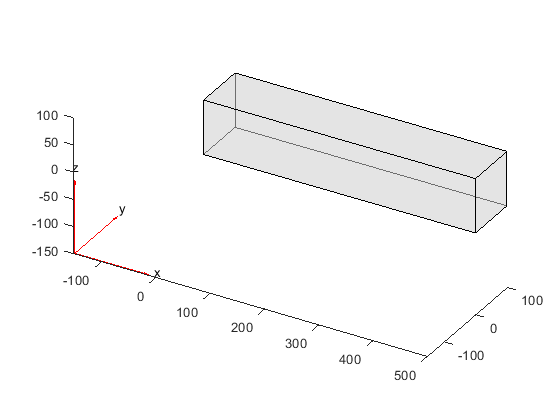 Specify proportional (Rayleigh) damping parameters for a beam. Create a transient structural model. Specify the Rayleigh damping parameters. Mass proportional damping, specified as a real number. Stiffness proportional damping, specified as a real number. Handle to damping parameters, returned as a StructuralDampingAssignment object.